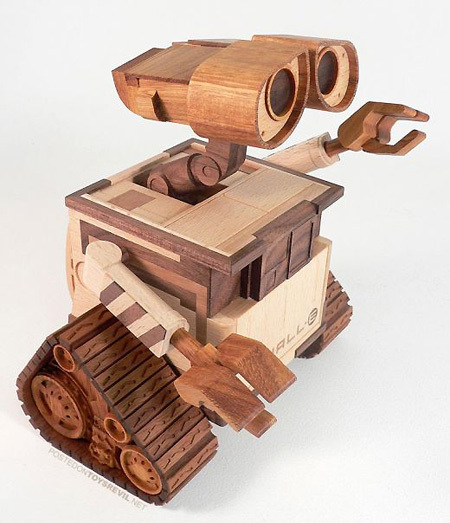 Created by Morpheus Prototypes, this wooden Wall-E was gifted to “Pixar/Disney Chief Creative Officer John Lasseter.” Sadly, it’s not available for purchase. Click here for one more picture. I don’t know anything about woodworking or sculpting, so I’ll leave it up to you guys to think of how long it could have taken to build this and how much it’s worth.